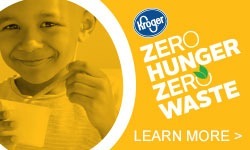 Please join us in the fight to end hunger. We will update local, state and federal advocacy opportunities, so please visit regularly to learn more about the current state of hunger and poverty in our community. View current issues from Feeding America here. The National Center for Children in Poverty (NCCP) is a public policy center dedicated to promoting the economic security, health, and well-being of America’s low-income families and children. 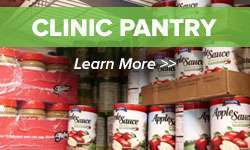 The Congressional Hunger Center (CHC) is a non-profit anti-hunger leadership training organization located in Washington, DC. As a bi-partisan organization, it is a center where the anti-hunger community can discuss solutions to end domestic and international hunger. Click here to visit CHC. 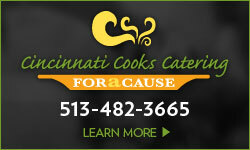 What percent of families in the Greater Cincinnati area accessed food from a foodbank? How many people accessed social services provided by the Freestore Foodbank? What percent of people who access emergency food services also utilize social services? In 2008, 39.8 million people (13.2 percent) were in poverty. In 2008, 8.1 (10.3% percent) million families were in poverty. In 2008, 22.1 million (11.7 percent) of people aged 18-64 were in poverty. In 2008, 14 million (19 percent) children under the age of 18 were in poverty. In 2008, 3.6 million (9.7 percent) seniors 65 and older were in poverty. In 2008, 49.1 million Americans lived in food insecure households, 32.4 million adults and 16.7 million children. In 2008, 14.6% percent of households (17.1 million households) were food insecure, an increase from 11.1 percent (13.0 million households) in 2007. In 2008, 5.7 percent of households (6.7 million households) experienced very low food security, an increase from 4.1 percent in 2007. In 2008, households with children reported food insecurity at almost double the rate for those without children, 21.0 percent compared to 11.3 percent. In 2008, households that were more likely to experience food insecurity were households with children (21.0 percent), households with children headed by single women (37.2 percent) or single men (27.6 percent), households with incomes below the poverty line (42.2 percent), Black non-Hispanic households (25.7 percent) and Hispanic households (26.9 percent). i U.S. Census Bureau.Carmen DeNavas-Walt, B. Proctor, C. Lee. Income, Poverty, and Health Insurance Coverage in the United States: 2007.
ii USDA.Mark Nord, M. Andrews, S. Carlson. Household Food Security in the United States, 2008.
iii Rhoda Cohen, J. Mabli, F. Potter, Z. Zhao.Hunger in America 2010.Feeding America.